How Is Traffic Generation Making the World a Better Place? 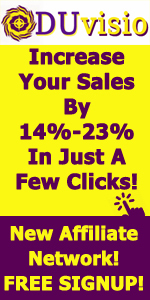 Are you getting traffic that just doesn’t convert? 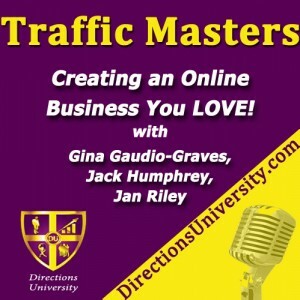 Is creating content to drive traffic keeping you stuck? 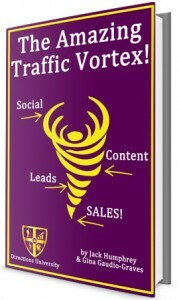 If you read the entire article and still haven’t downloaded “The Amazing Traffic Vortex Guide”, now’s the time to do it! Make a deeper, more meaningful impact on your customers’ lives! AND — Make your life SO MUCH easier! What is your biggest problem when it comes to “traffic”? Is it getting traffic? Converting traffic? Doing the things required to get traffic? Or something else? Let us know in your comments! Just click the “Comment Bubble” at the bottom of the embedded post above and your comment will appear here on this post AND on Google+ at the same time! To Your Abundant Traffic Success! P.S. – the guide covers social media and content marketing, leverage and re-purposing, and how to get all the search results you want, all the targeted traffic you want, and all the leads and sales you can handle. How’s that for a promise?